Our Swanky Team wants to help you make your wedding/event special by making you look perfect for any occasion. From our trendy cuts, chic coloring, custom makeup and styles you will love our services. Come and join us in a relaxed and fun atmosphere, book your appointments today. Call to book your appointment with a desired stylist. 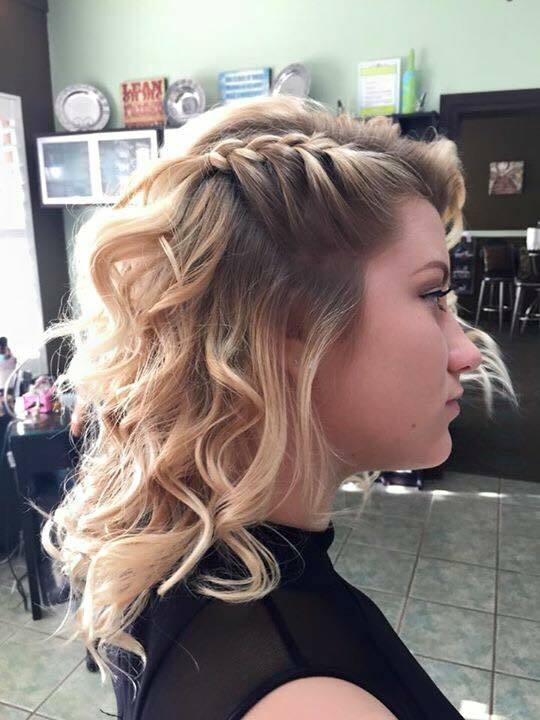 Eva is an independent stylist at Swanky Chic Hair Salon in New Smyrna Beach. She moved to Florida in 2012 with 32 years experience as a stylist. As a home town salon owner for 24 years, she is a master stylist that strives to please each and every client. Eva has continued her education throughout the years and has attended master classes hosted by the top celebrity stylist from around the world. Her first job was a shampoo girl as a young cosmetology student at age 15. Eva received most outstanding and blue ribbon awards throughout her classroom years. Hair styling has been her only job until she relocated in New Smyrna Beach Florida. Eva is also the owner of Affordable Beach Wedding and absolutely loves working with Brides and their families. Eva has years of experience in wedding hair and makeup as well as any special occasion style. She is and expert in razor cutting, dimensional color and highlighting. Matrix, Paul Mitchell, Rusk and Goldwell are just a few of her favorite products. I am first a woman of God, a wife and a mother, but for as long as I can remember, I have been a stylist. Hair was my first love. I began experimenting with my family and friend's hair, styling and cutting, at a young age. Ever since I can remember, this has been my dream and my passion. I have been in the Hair industry officially now for 9 years, beginning my career as a hairstylist at Swanky Chic Salon. I specialize in color and highlighting and am a master with Tigi Color. Extensions are another one of my specialties. I also love working with Natural Hair and natural products and I love teaching natural Hair Care. I enjoy giving my clients exactly what they desire! Men's and Women's cuts I love, but the kids hold the most special place in my heart. Each and every child that sits in my chair is special to me and I love them all! And as a native of New Smyrna Beach, I especially enjoy sending our kids off to school with new styles to begin their year off right. My mantra is "look good, feel good, do good." Above, I love life, love everyone in my life and love what I do everyday! CC has been in the industry for 5 years. she specializes in men's cuts. She enjoys learning new techniques and putting her clients first. She is a hardworking mother of two and puts her love and passion into her work. Cc comes to work prepared and ready to please her clients. She has an amazing clientele in coloring, cuts, and loves to make children's cuts fun and comfortable! Attention Couples: Are you thinking of having a beach wedding? Give Eva Mullins from Affordable Beach Wedding a call (386) 279-1179 and start planning your beautiful and romantic ceremony by nature’s most breathtaking venue, the ocean. Affordable Beach Weddings offers lovely wedding services in New Smyrna Beach, Daytona Beach, Ponce Inlet, and Ormond Beach.